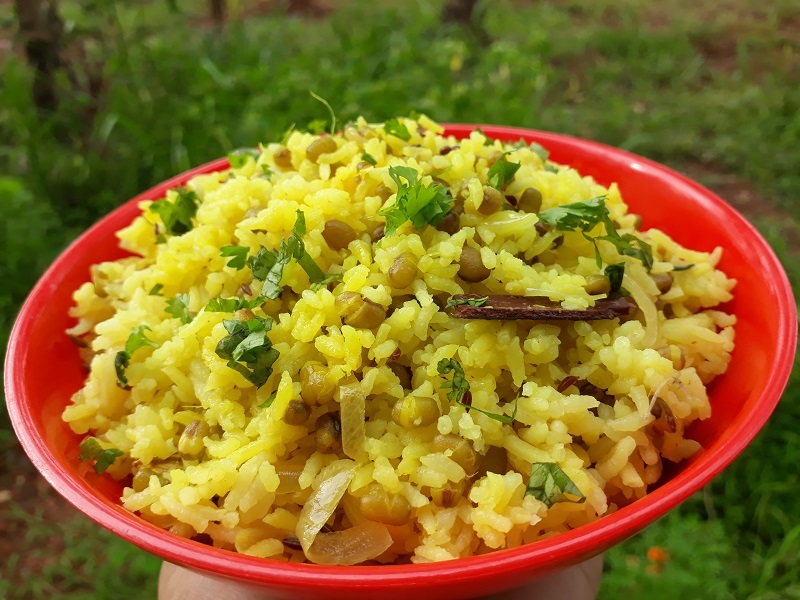 Hai all, today I am sharing with you a simple, healthy and delicious Cherupayar / Moong Bean Biriyani recipe. 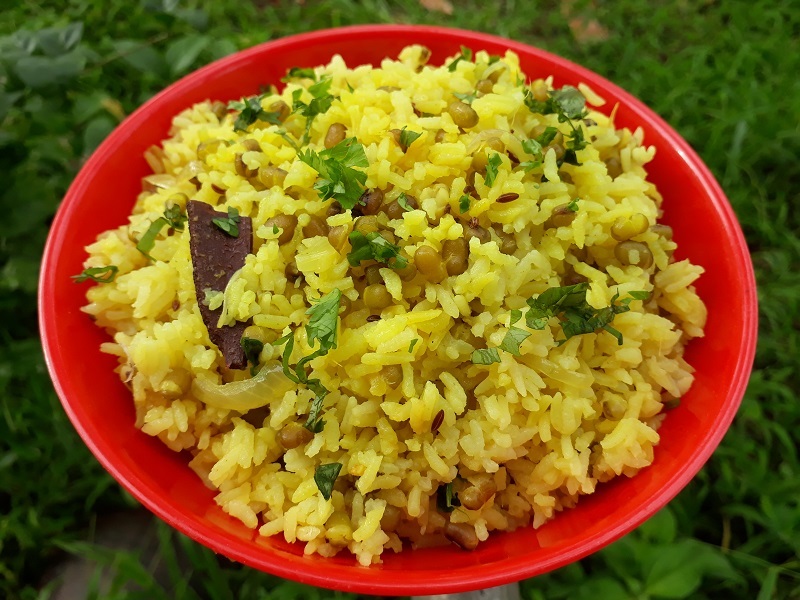 If you are checking for a healthy lunch box food for your kid I prefer you to try this cherupayar biriyani. You can adjust the spices that you like. Moong bean has many health benefits, its rich in protein and fiber. 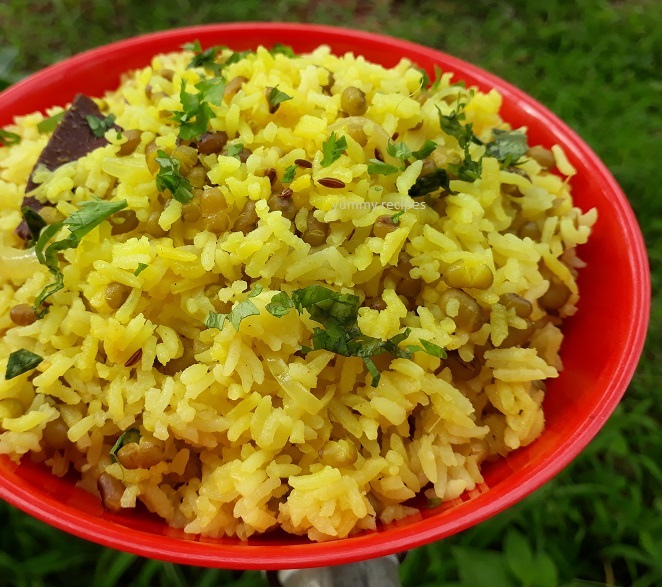 Okey, lets see the making of moong bean biriyani bellow with video and detailed images. Wash, drain the rice and keep it aside. Heat ghee in a deep bottom pan, add cardamom, cinnamon, cloves and cumin seeds and fry it for 1 minute. Add sliced onions, salt and sauté till the onion turns soft. add ginger garlic paste and saute for 2 minutes in medium flame. Once the onion turns soft add turmeric powder and sauté it again for 1 minute. 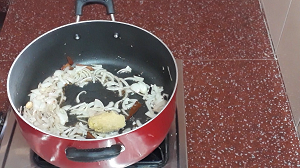 Now add drained rice and fry the rice fir 2 minutes. Then add soaked cherupayar / moong bean and just sauté it. Add 1 or 2 table spoon curd (the quantity depending on the sour) , mix it well. Now add boiled water and salt to taste and allow it to boil, put it in high flame. The water starts boiling put flame in simmer. Close it with a lid and cook till the water completely evaporated. 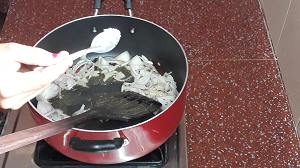 Switch off the flame, mix well and finely sprinkle some coriander leaves. Close with a lid and rest for 10 minutes. 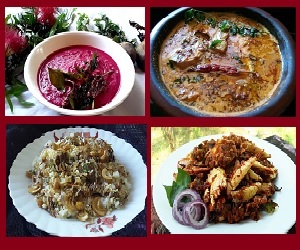 Now it’s ready to serve with any gravy or raita. Thank u all, happy cooking.